As the nation braced itself before a bitter budget standoff between factions on Capitol Hill recently, the professors of a small college in North Carolina got their own education about certain fundamentals of America. 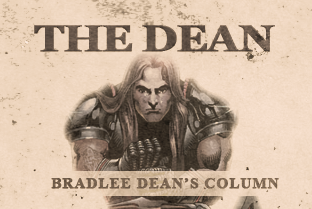 Preacher and rock musician Bradlee Dean, whose towering 6-foot 5-inch frame dominated the speaker’s area, roused his listeners to a new level of American loyalty. Some of the teachers at the community college, several hours south of Raleigh, no doubt shifted their feet nervously at being quizzed on American politics by an unlikely tutor. Dean, the long-haired rock musician and preacher, had them squirming for answers to questions that many of them perhaps had not thought about since grammar school. The listeners wriggled nervously, their cell phones hanging limp at their sides. Guilty as charged. But this crowd was not an indignant one. They would not scoff and name call, and hold their noses high in derision, like many liberal players today in an academic environment. And why? Maybe it’s because family roots in this area of woods and plateaus are hearty, patriotic ones, whose stubborn belief in self-government grounded in Bible values have been taken in over the years with their mother’s hominy grits every morning. 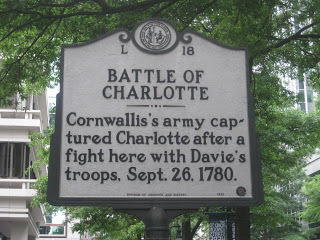 Indeed, forebearers of the local residents years ago fought, bled and died in the decisive Battle of Cowpens, a few hours’ drive from here, defending their new-found American freedoms against the British. If there was an embarrased silence for a while in that room of teachers, maybe it was because they respected a Bible Belt heritage that included a freedom founded on a belief in God, the true Creator of rights. God has never shied away from choosing an unlikely messenger. Like Hilkiah the high priest in the ancient days of Judah, who discovered the Book of the Law in the temple of the Lord and took it to the king (2 Kings 22:8-13), Dean was taking the laws and traditions of America to today’s men of influence. On this humid and sunny September day in North Carolina, as smoke from autumn cookouts hung deliciously in the air, Dean was well received by this group of college academics, hungry for the food of true patriotism. Dean asked the professors, “Do you love your freedoms?” They, of course, answered in the affirmative. Dean summed up, “Freedom was not given to do what we want to do, but what we ought to do!” Again, they all agreed. 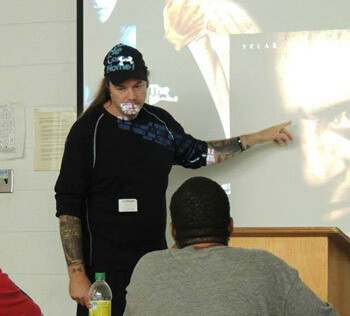 It took a long haired, tattooed preacher to bring these points home to these college profs, who themselves were used to dishing out advice to listening ears. Sobered by this realization, each academic conceded that those who do not know their own rights do not have any themselves. North Carolina — one of the thirteen original colonies –stands as an example to the need for all states in the Union to return to our American roots. Read more about this event, "Back to Elementary School With College Professors." Bradlee Dean is the founder and president of You Can Run But You Cannot Hide, which has as its mission: To reshape America by re-directing the current and future generations both morally and spiritually through education, media, and the Judeo-Christian values found in our U.S. Constitution. 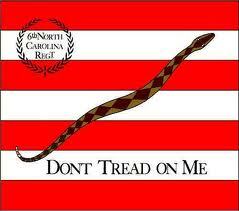 If you like this article, please like Dean on his Sons of Liberty Facebook page. Donate to Dean’s ministry and get a unique gift in return. Simply make a donation to Sons of Liberty Radio to receive your gift.